A: There are many writers or cartoonists desire to convert their valuable content to Apps which can run on Android-powered devices. 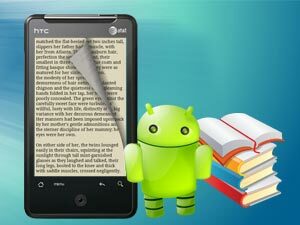 Now if you have no skill of programming, there is no need to feel hesitate because you can make use of Android book app maker to convert content to book app for Android markets and even your own business website. Android book app maker helps you open train of thoughts for making money. Firstly, you can just publish book content. What’s more, you can contact Admob advertisers to embed their ads into content to earn money. Whichever you choose, you will obtain rich wealth. Have you ever thought about walking around those Book Publishing and Purchasing Platforms such as Amazon? If those platforms have once binged t irritating to you and you desire become your own publisher. In that case, you might try to use Android book app maker or its relevant tools to make app for markets. AppMK are developing series app makers. They allow you to convert PDF, image, text files into apps for android. Even though you can't program, it will limit your ideas of becoming your own publisher. If you are a writer or cartoonist, try it to know how popular you are. Without middleman, you also can publish your own content. From now on, you are independent that push your brilliant to people all over the world so easy.